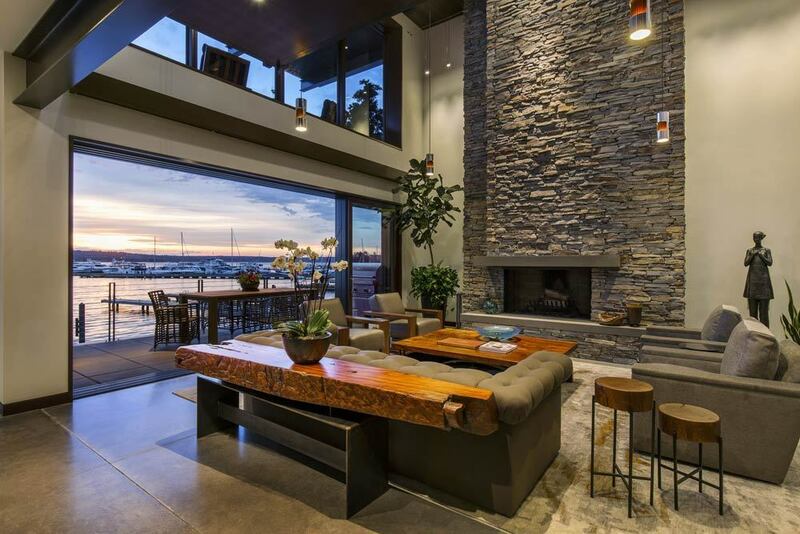 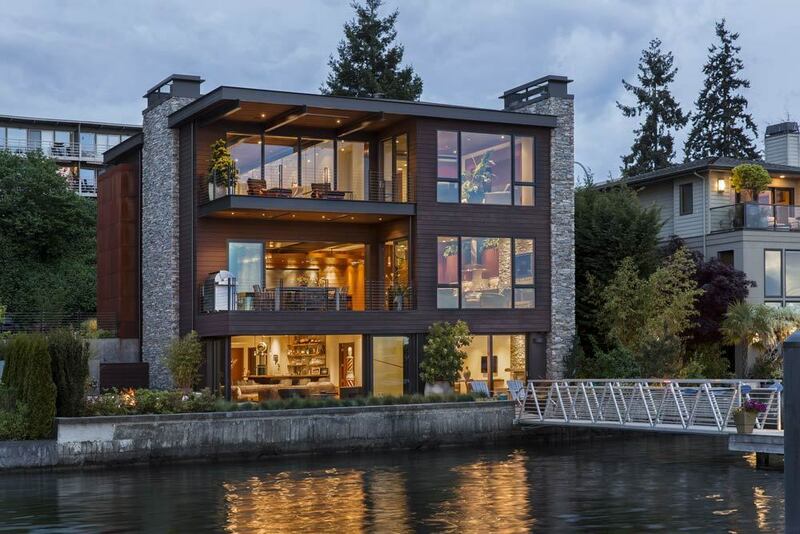 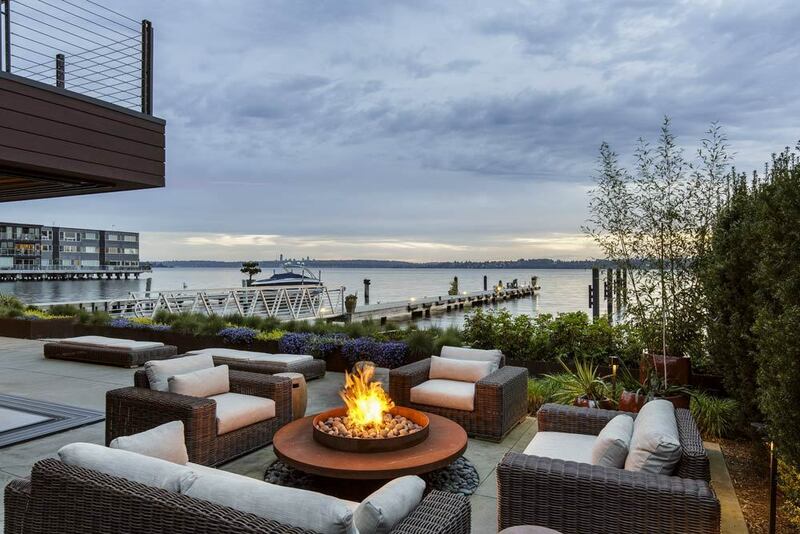 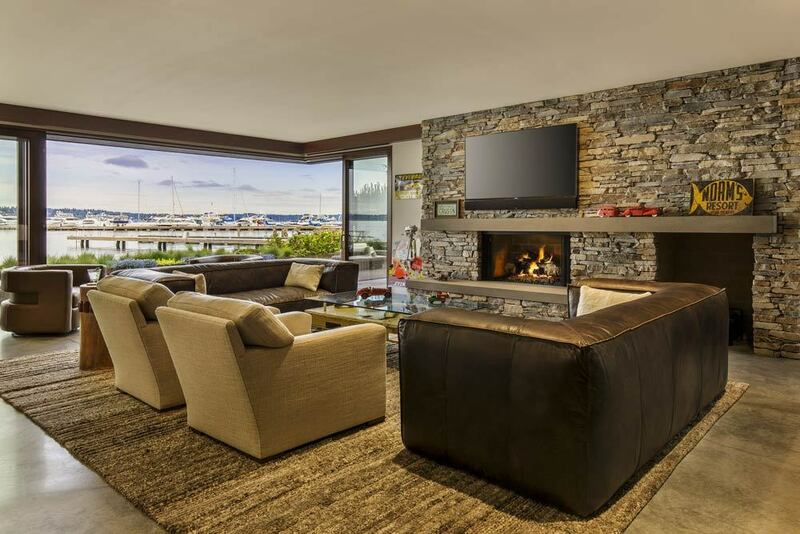 This property is sits between the shores of Lake Washington and the active Lake Street, Kirkland’s thorough fair to the downtown district. 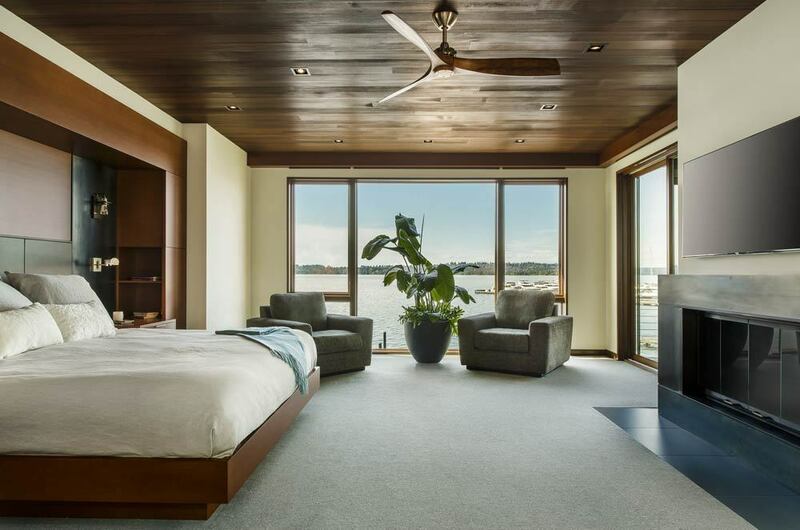 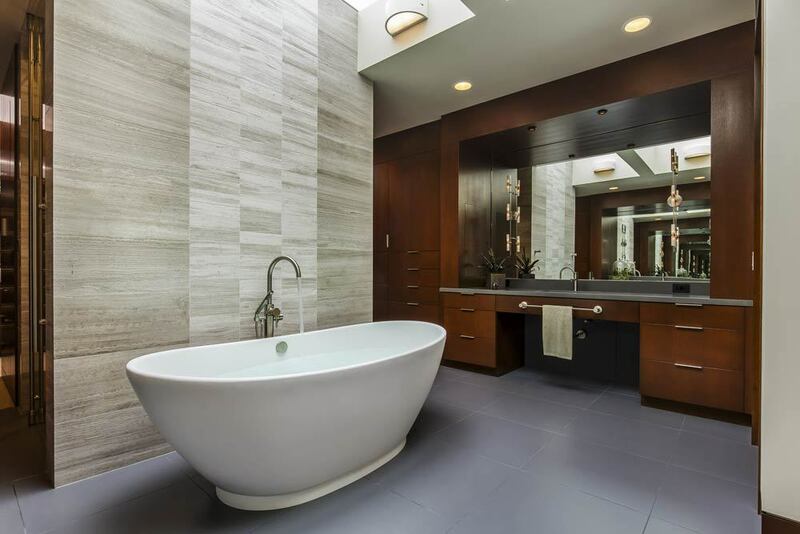 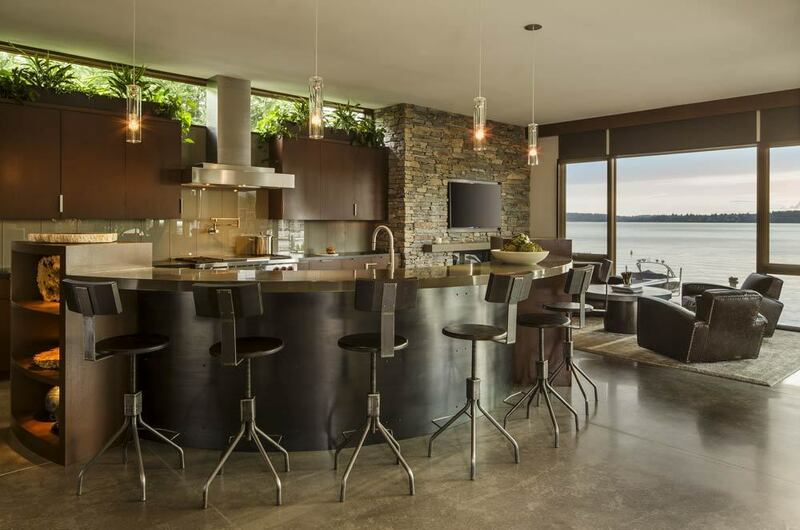 Designed for a couple, the house is a 3,800 square foot three story house built for an entertaining lifestyle. 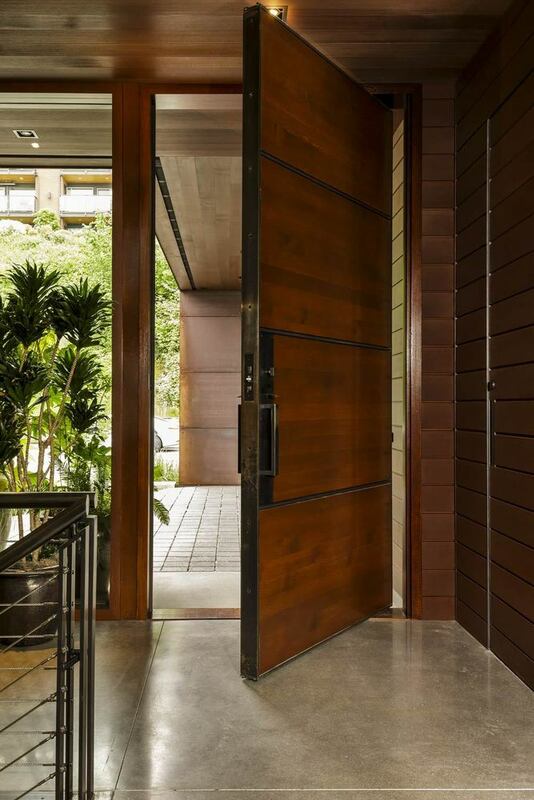 Large retractable doors open to expansive patios and decks extending the indoor spaces to the outside. 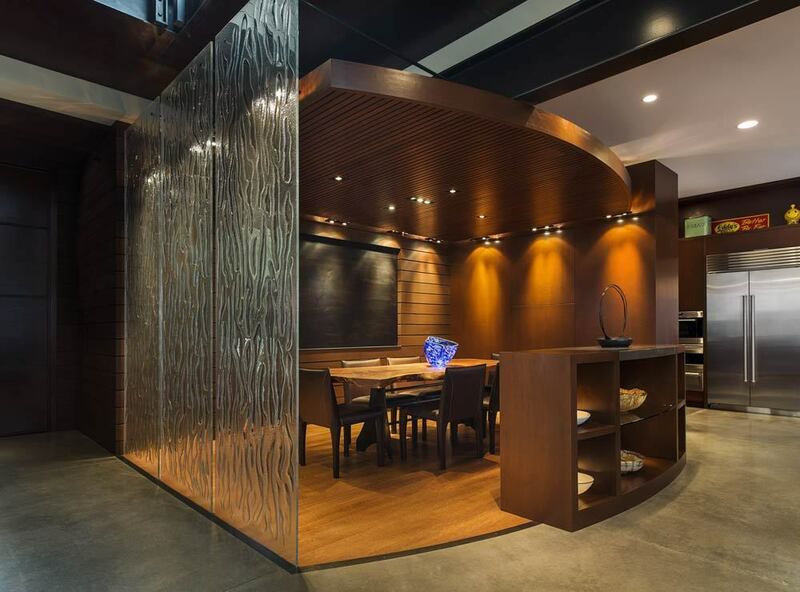 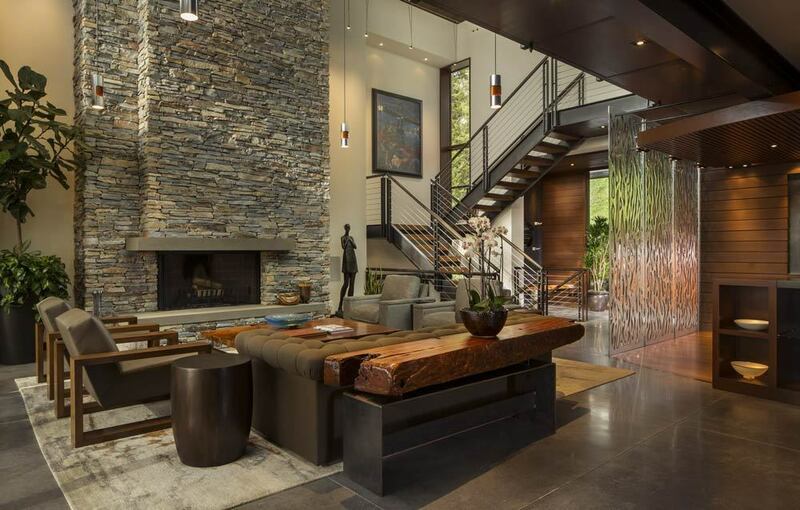 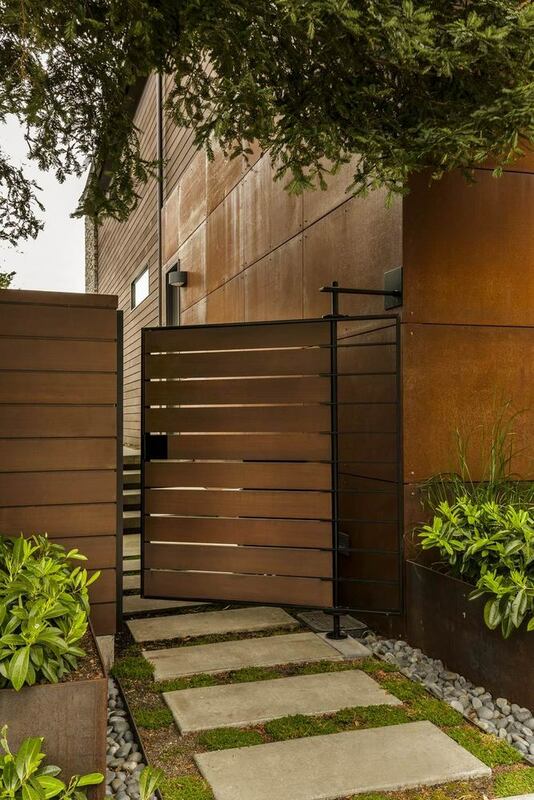 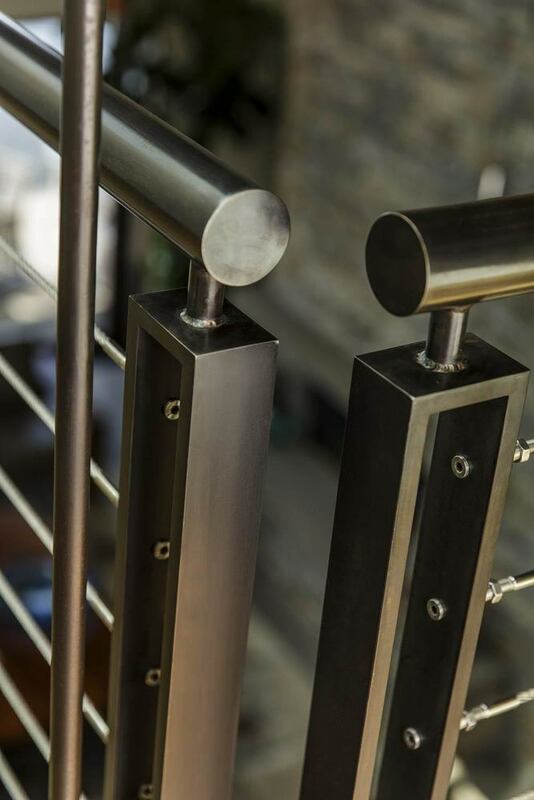 The client desired an “edgier” feel while still using warmer northwest materials. 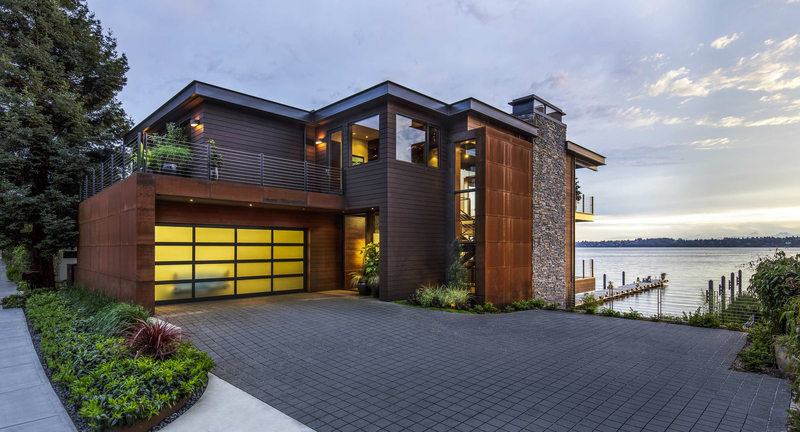 The exterior materials are primarily stained horizontal clear cedar planks from British Columbia and cor-ten steel panels wrapping the garage and stair elements and Montana ledgestone is applied to the vertical fireplace chimneys. 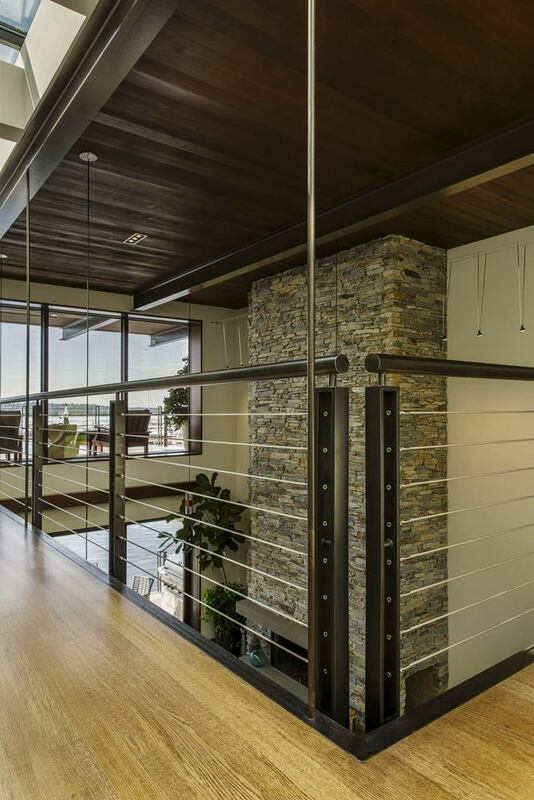 The interior consists of smooth concrete floors, “blackened” steel staircase, exposed steel structural beams, and an upper floor walkway supported by steel tie rods. 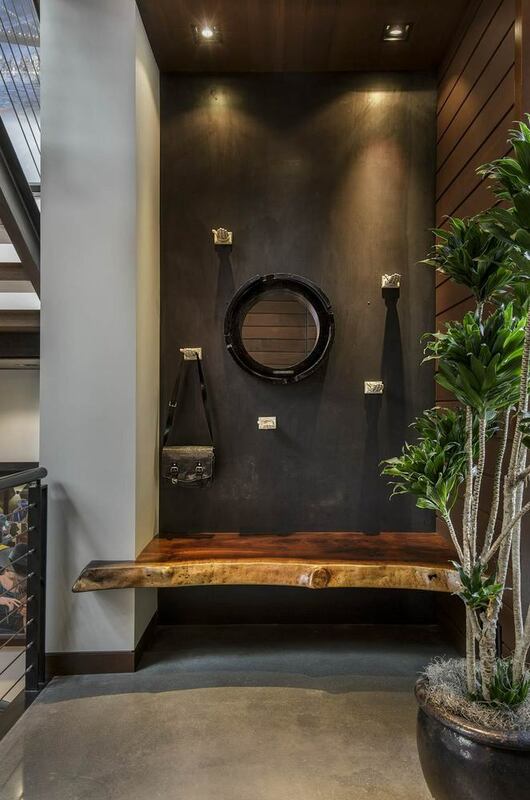 Stained rift oak wood was used for built-in cabinets and doors.